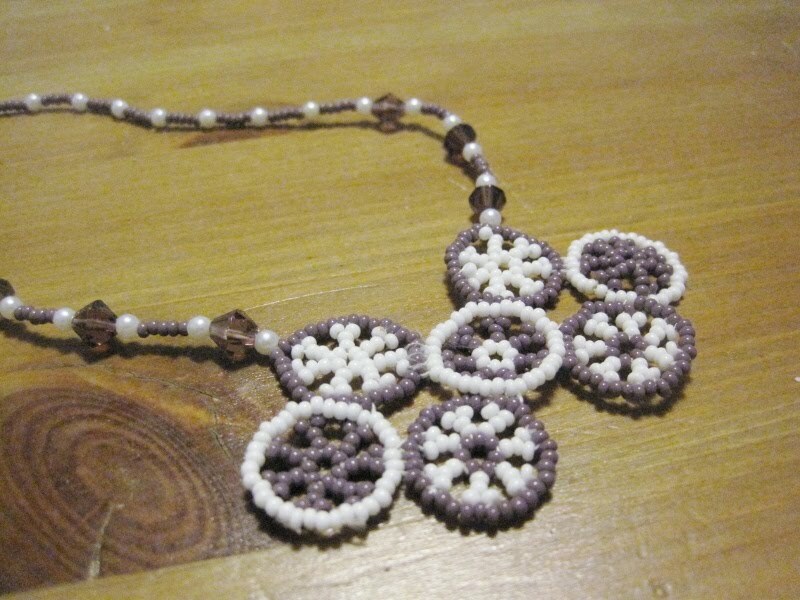 I started putting the seed bead circles together for this well over a year ago. 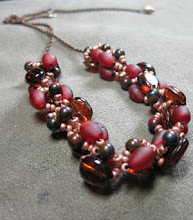 I knew I wanted to put them together and create some sort of central focus. 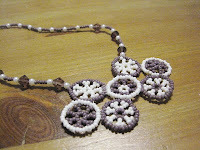 I finally got around to finishing it and I love the simplicity of how the various circles go with the seed bead chain.